It's important to protect your eyes from UVA and UVB rays to prevent future problems such as cataracts and macular degeneration. On a lesser note, constantly squinting speeds up the formation of small lines around the eyes, so keeping those rays away can be a part of your daily beauty regimen. It's not always possible to wear hats or visors every time you leave the house, so your best choice in eye protection is a large pair of quality sunglasses. Cheap sunglasses from the dollar store may shade your eyes a bit, but they don't protect your eyes from any damaging rays. 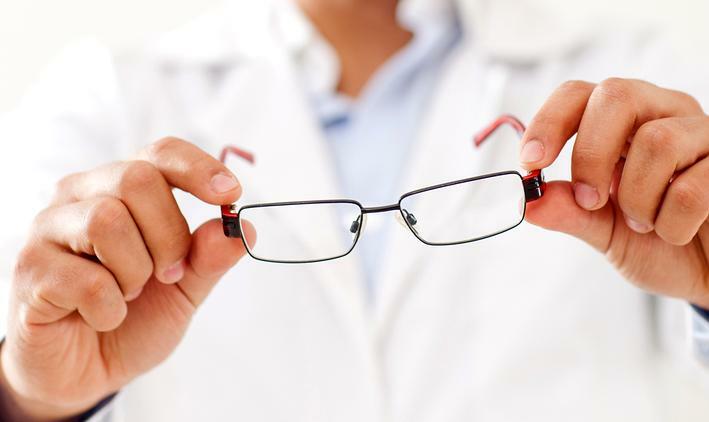 For real protection you need to get eyeglasses from a licensed eye doctor. Our optometrist in Maple Ridge offers two different types of sun protective eyewear lenses: Transitions® lenses and Polarized lenses. Polarized glasses have been around for decades, and the technology is always improving. They're among the best examples of protective eyewear you can buy. Polarized lenses and the eyeglasses they're put into are designed to protect your eyes from reflected sunlight. This glaring light can come from water, snow or ice, or even sand at the beach. It can affect your eyes at any time, but you'll notice it more while driving or on hazy days. The polarization process creates lenses that filter light coming into your eyes from a certain angle. They reduce the glare, allowing you to see more clearly while protecting your eyes from dangerous rays. One note: polarized lenses are always dark, like in a traditional pair of sunglasses; you'll have to change to clear eyeglasses when you go into a building or when driving at night. At Maple Ridge Eye Care, we can add a polarization coat to any pair of glasses and we also offer a wide range of sunglasses with non-prescription polarized lenses already in the frames. Transitions® lenses are photochromic lenses -- this means that they're constantly changing based on the amount of UV light that's available in the environment. A transparent layer on the surface of these glasses determines the shade of the lenses. When it's brighter and more UVA and UVB rays are available, the lenses darken to protect your eyes. When you go indoors or into a shaded spot such as inside a car, the glasses clear again. The process is a quick one; most pairs of Transitions® lenses go from clear to shaded or back again in about 15 seconds. These lenses are ideal for patients who want to only rely on one single pair of glasses. If you have a hard time remembering where you put your sunglasses, Transitions® may be the right option for you. Contact Maple Ridge Eye Care Today! Maple Ridge Eye Care has been serving Pitt Meadows and Maple Ridge patients for over 60 years, and we're ready to help you find your ideal pair of UV protection glasses. Contact our office today at 604-463-4469 today for an appointment.